'Aunt Tissie. I opened a door and saw some ladies sitting in a room. Who were they?' I whispered. She started. 'You saw them? You've seen them?' She looked at me with astonishment. 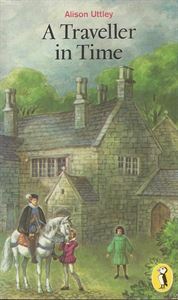 Penelope lives in the twentieth century, and it is only when she goes to live with her aunt at Thackers, a remote, ancient farmhouse, that she finds herself travelling back in time to join the lives of the Babington family, and watch helplessly as tragic events bring danger to her friends and the downfall of their heroine, Mary, Queen of Scots, whom they are seeking to rescue.